More than 3,000 women served as army nurses in World War I. Marjorie Yuille was one of them. You might recognise the name - Yuille Street is named after her family. Studio portrait of Marjorie Cross Yuille. Source: Australian War Memorial, P09381.002.When war broke out in 1914, twenty-nine-year-old Marjorie was living in Dendy Street with her parents Albert (a former Brighton councillor) and Ethel. Within months, she volunteered to join the Australian Army Nursing Service. In 1916, Marjorie was deployed to France, where she served with the No. 1 Australian General Hospital, tending to sick and wounded soldiers from the Western Front. The conditions were primitive and the work was never-ending - the hospital took in an average of 2,913 patients per month. That year, France battled through its coldest winter in a century. Thermometers and medicines froze, nurses and doctors suffered frostbite, and the wounded streaming in from the Somme bore injuries no amount of civilian training could have prepared the nurses for: gunshot and shrapnel wounds, trench foot, poison gassing and shellshock. But in amongst the fear and chaos, strong bonds of friendship also formed. Marjorie’s photos show her enjoying peaceful moments sewing with her fellow nurses and smiling with Australian soldiers as she opens a Christmas present from her sister. Nurse Mary Mackenzie Finlay and Marjorie Yuille sewing in Marjorie's room. Source: Australian War Memorial, P09381.004.And it was here in Rouen that Marjorie met and fell in love with Henry Hume Turnbull, a doctor in the hospital camp. They married in London in 1917 - which also meant Marjorie had to resign her posting (army nurses were required to be single). After the war, Marjorie and Henry settled down in Toorak, where they had four children - Nicholas, Clarissa, Jean and Henry Junior. When a second war was declared in Europe in 1939, young Henry was quick to follow in his parents' footsteps. Shortly after turning eighteen, he joined the Royal Australian Air Force and was assigned to the 461 Squadron, flying planes over Europe and the Atlantic. Henry's aircraft was shot down near Bergen, Norway, on 1 October 1944. He was only twenty-one. Nurse Mary Mackenzie Finlay and Marjorie Yuille sewing in Marjorie’s room. Marjorie surrounded by Australian soldiers as she holds a newly opened Christmas gift. 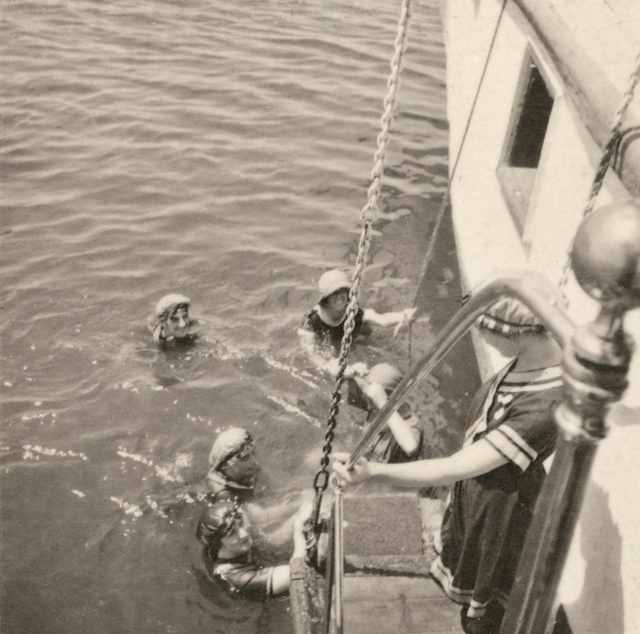 A photo from Marjorie’s collection, showing nurses swimming off the side of a boat. Studio portrait of Marjorie after her marriage to Henry Hume Turnbull. 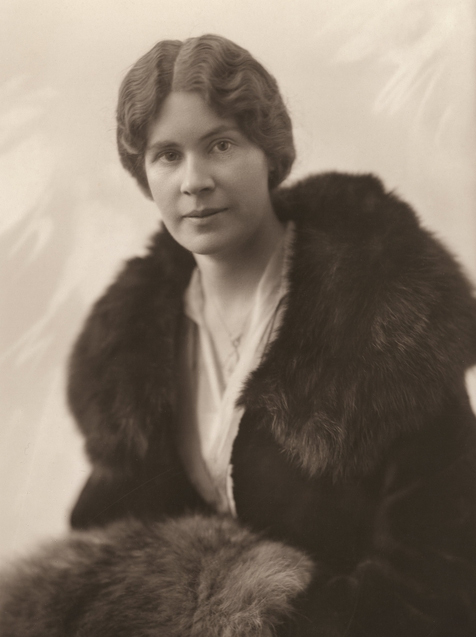 Studio portrait of Marjorie Cross Yuille. Source: Australian War Memorial, P09381.002. Source: Australian War Memorial, P09381.004. Source: Australian War Memorial, P09381.005. Source: Australian War Memorial, P09381.009.